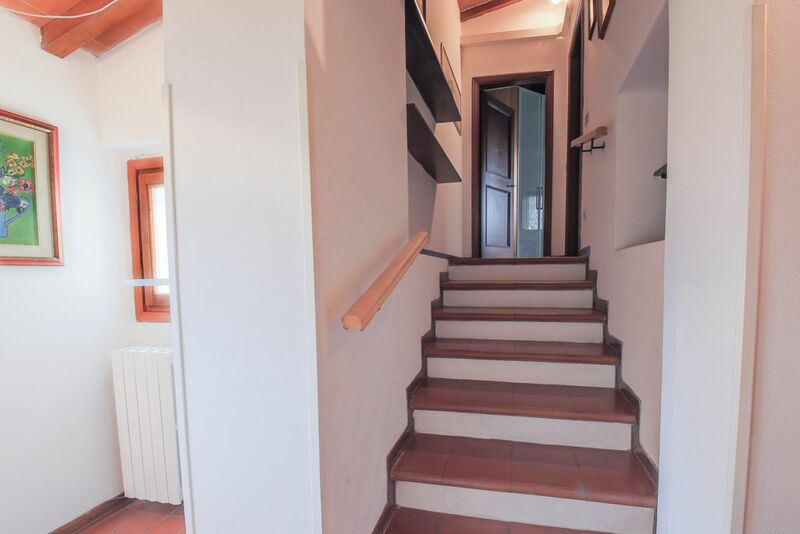 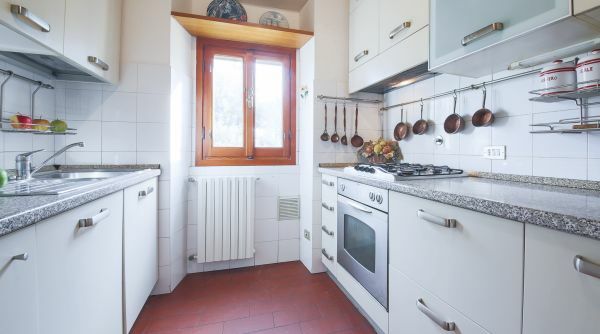 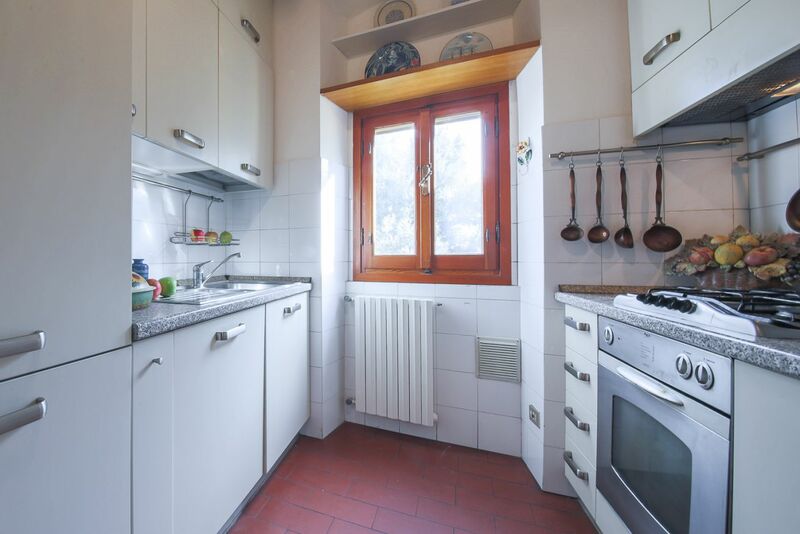 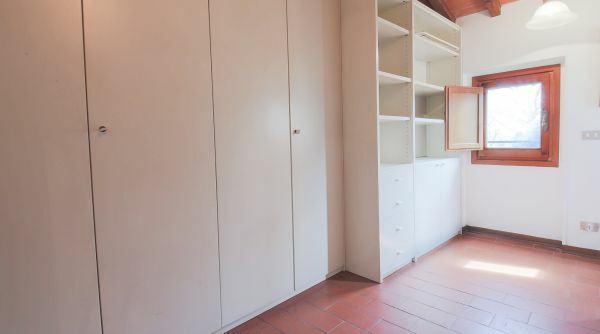 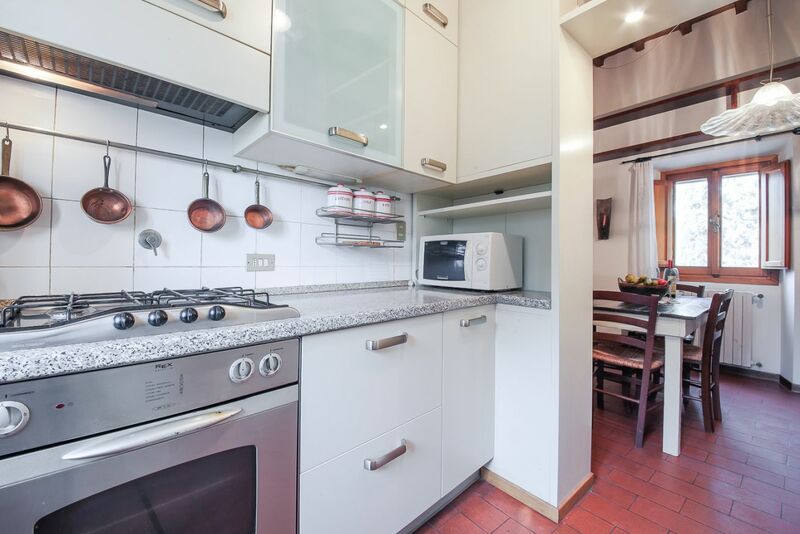 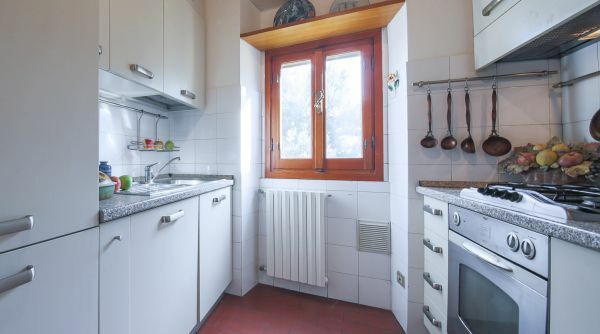 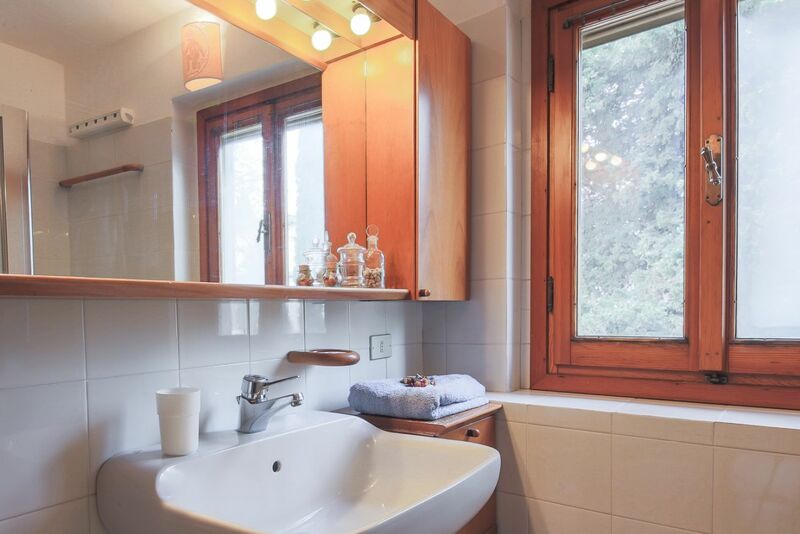 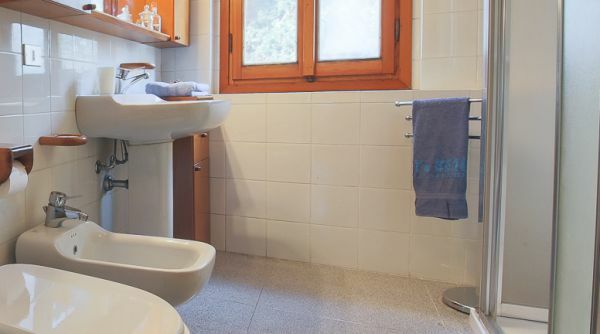 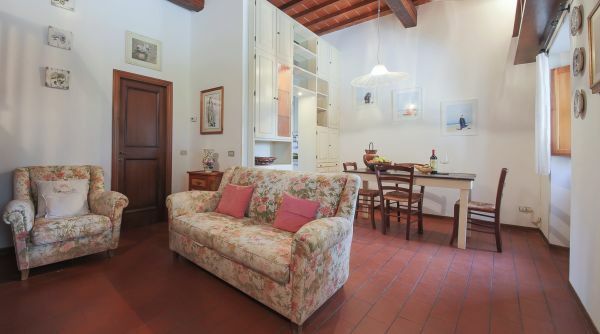 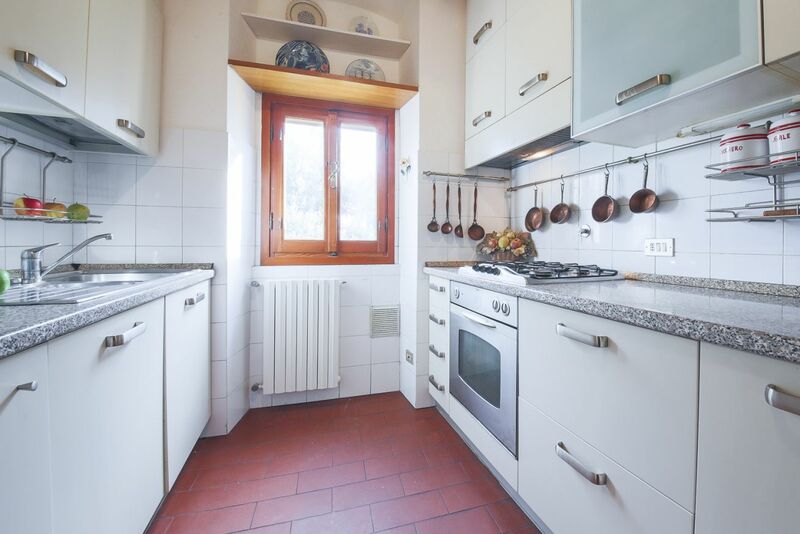 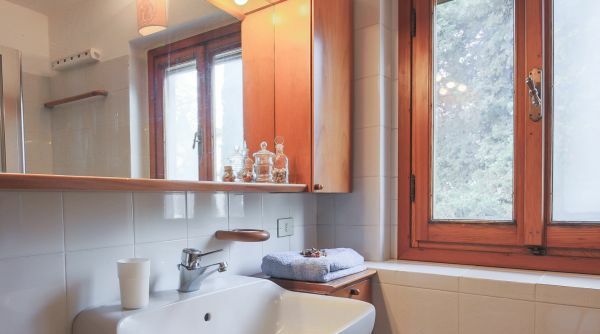 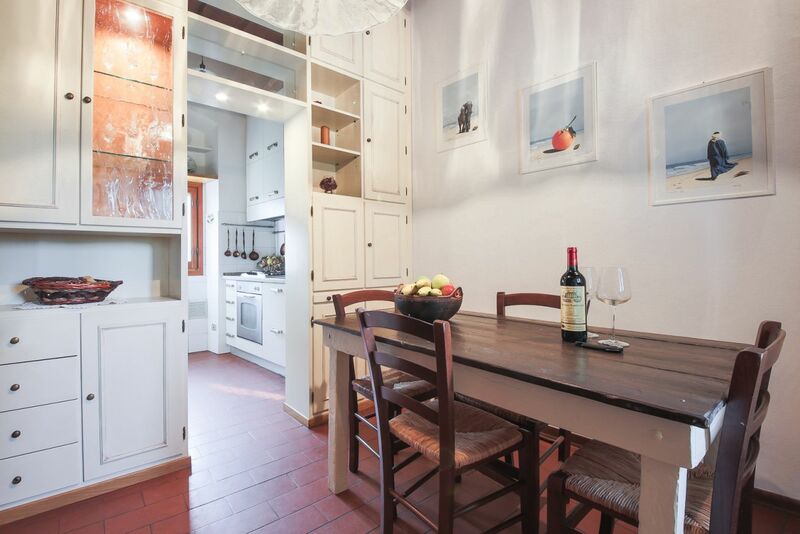 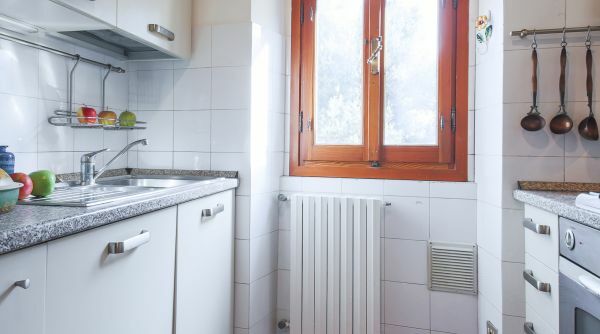 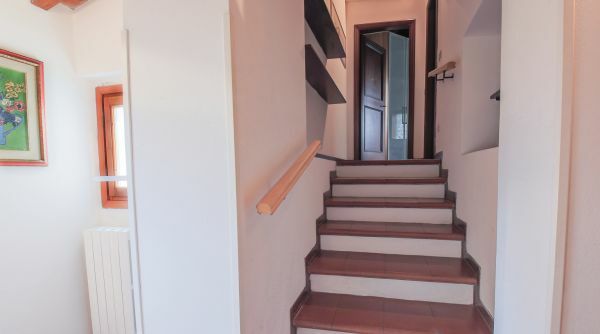 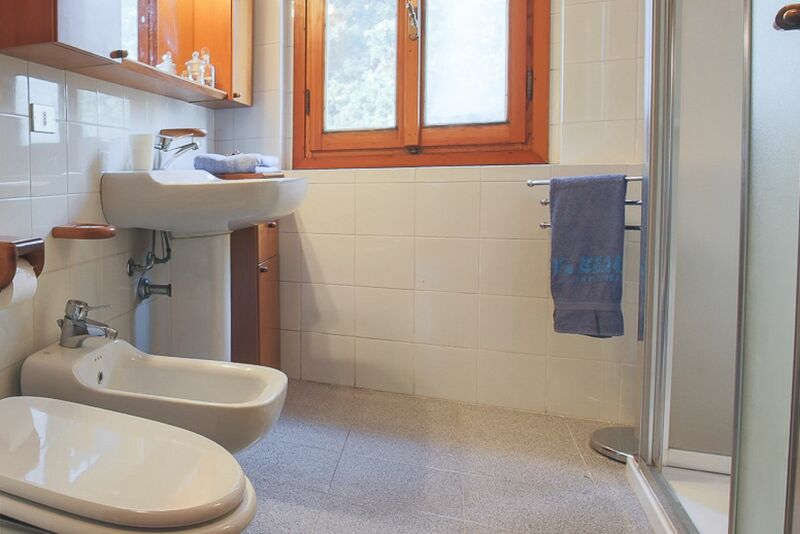 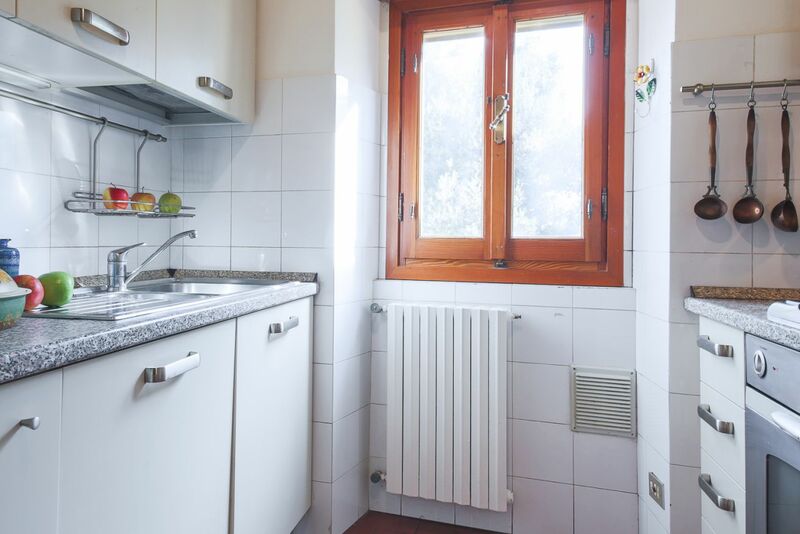 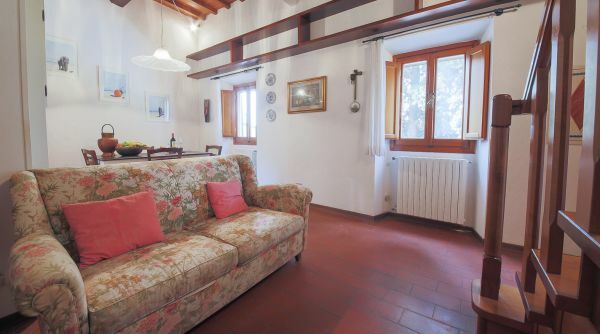 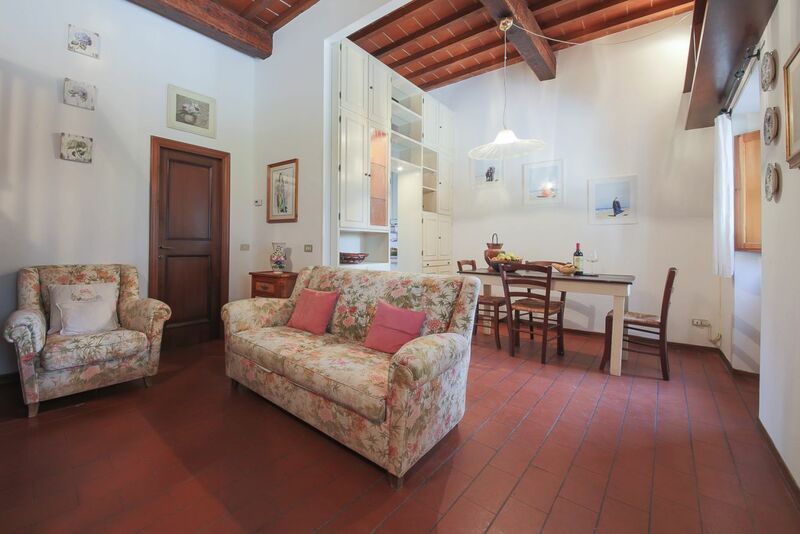 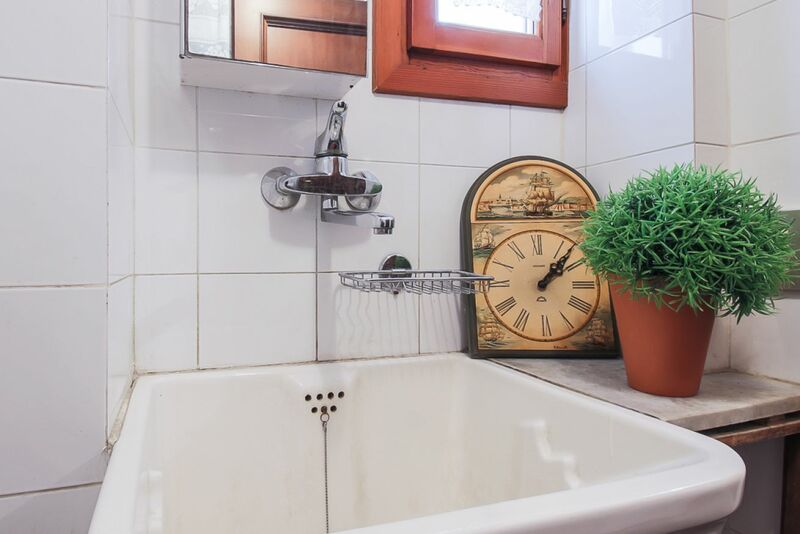 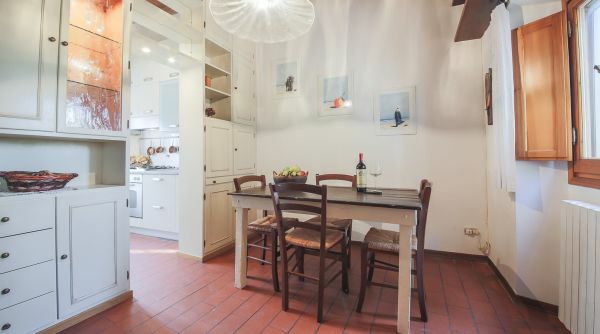 The apartment is located in a peaceful, green courtyside zone right on the outskirts of Florence. 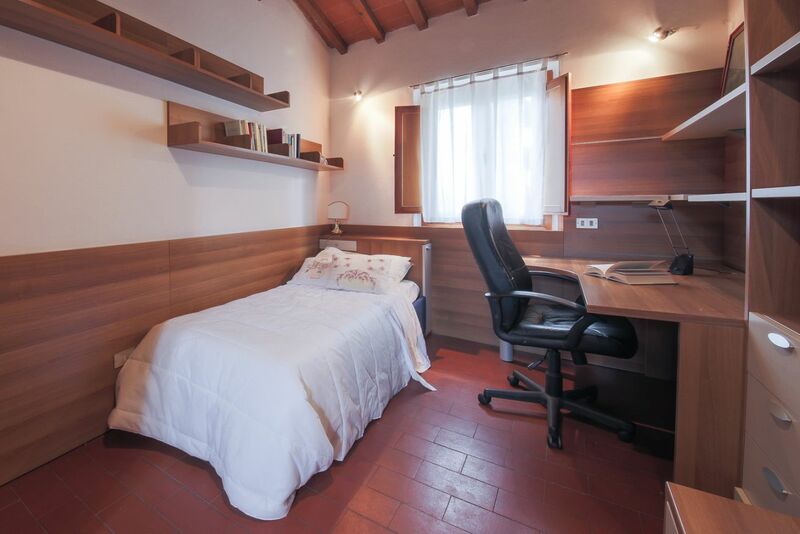 Right across from it is the famous Villa - Home of Galileo Galilei. 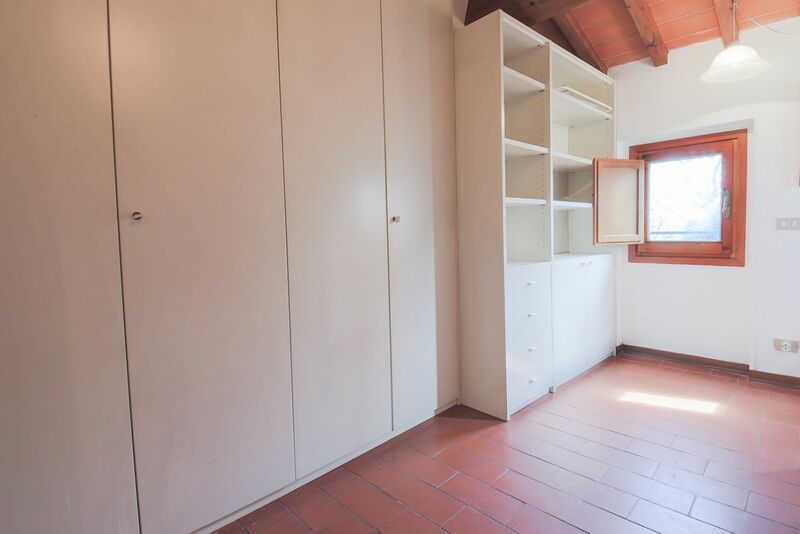 From here you can easily access the centre of Florence by car or public transportation. 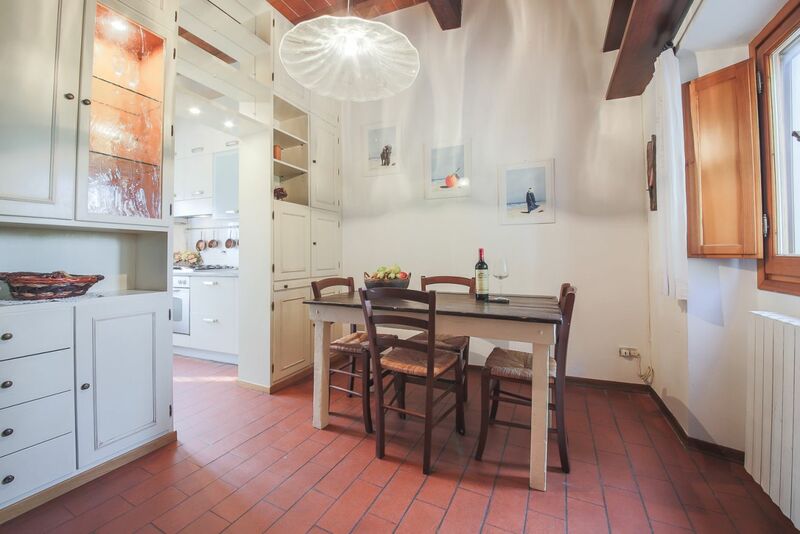 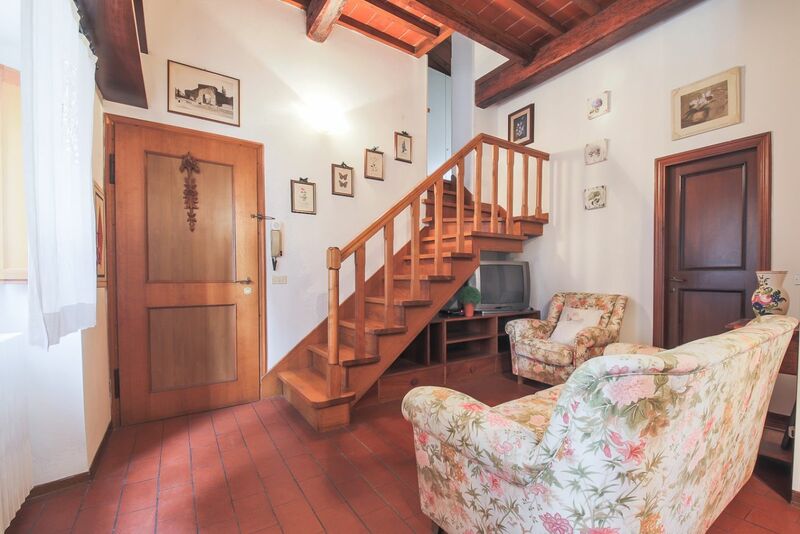 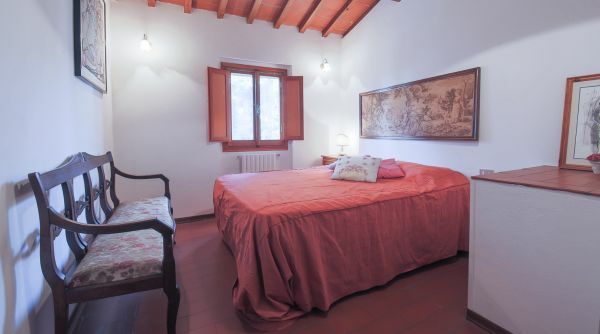 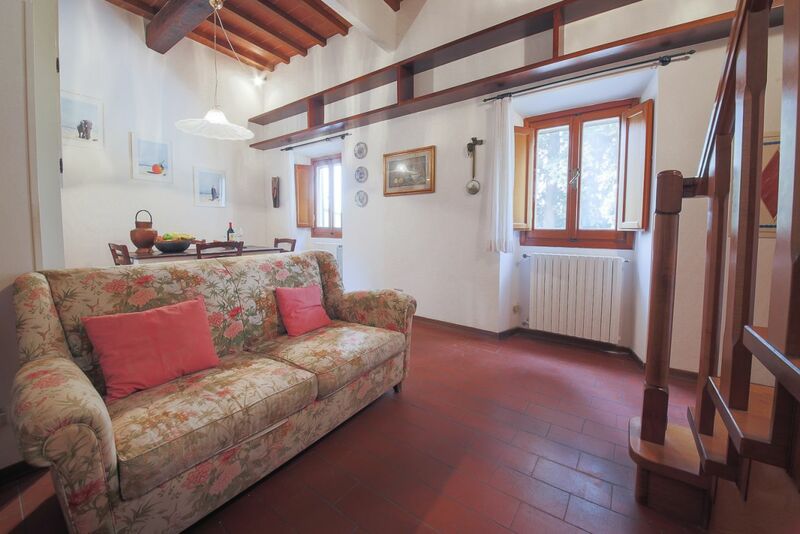 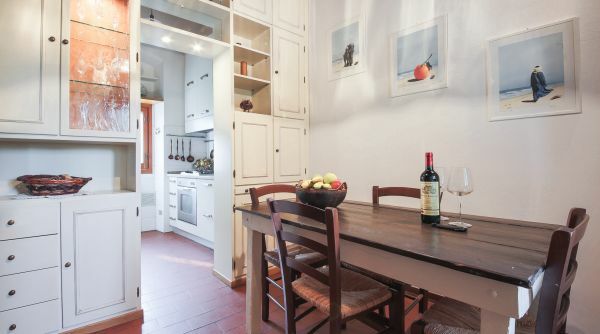 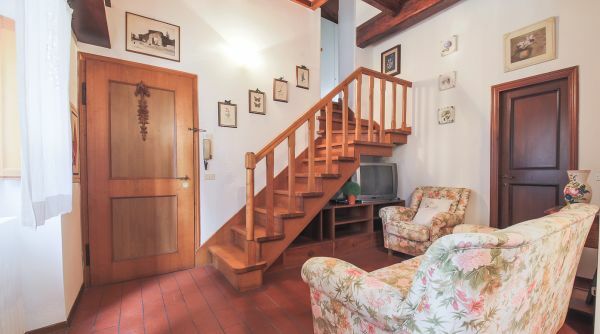 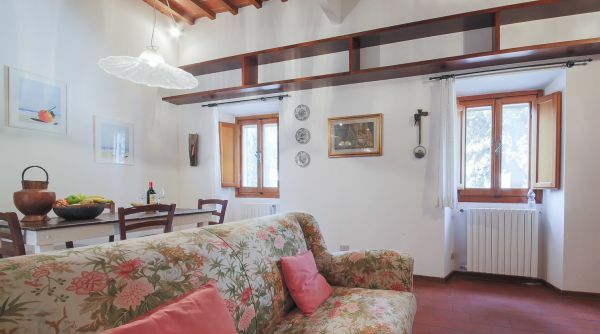 The property has a typical and warm Tuscan character which will make you feel at home immediately. 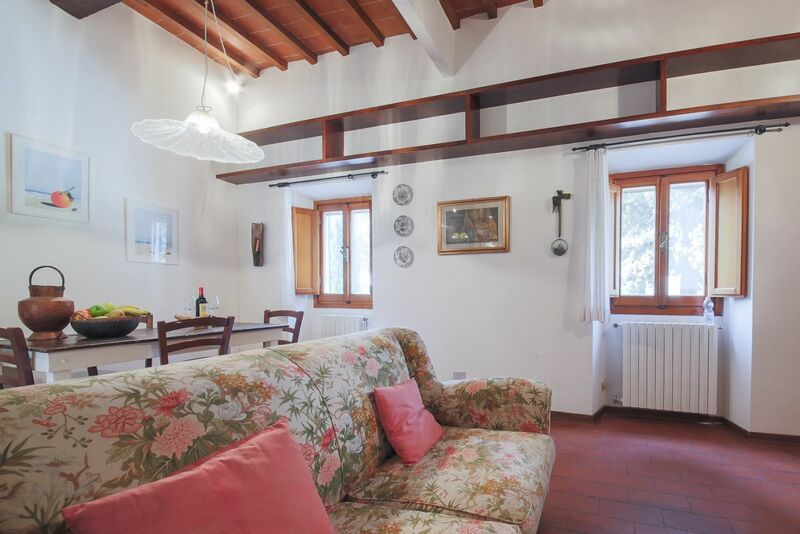 You walk into a spacious and bright living / dining room area, with very high ceilings with exposed original wooden beams. 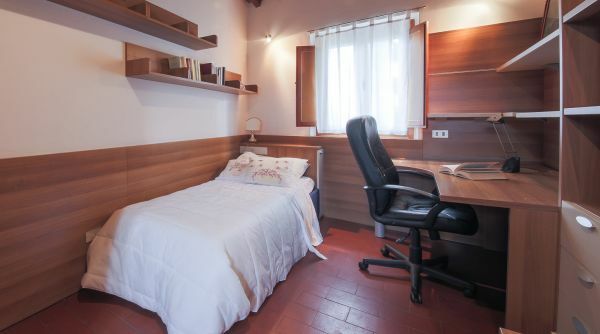 There is a dining room table for four and a comfortable double sofa bed. 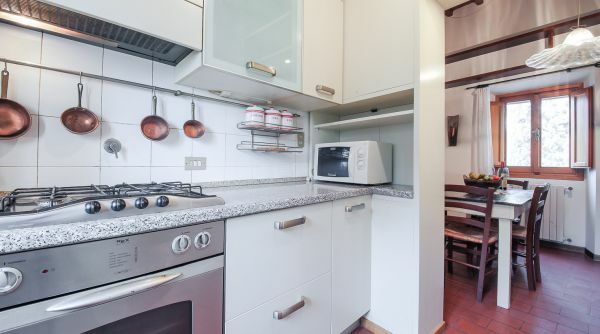 The kitchen is right next to the living room and is fully equipped and easy to use. 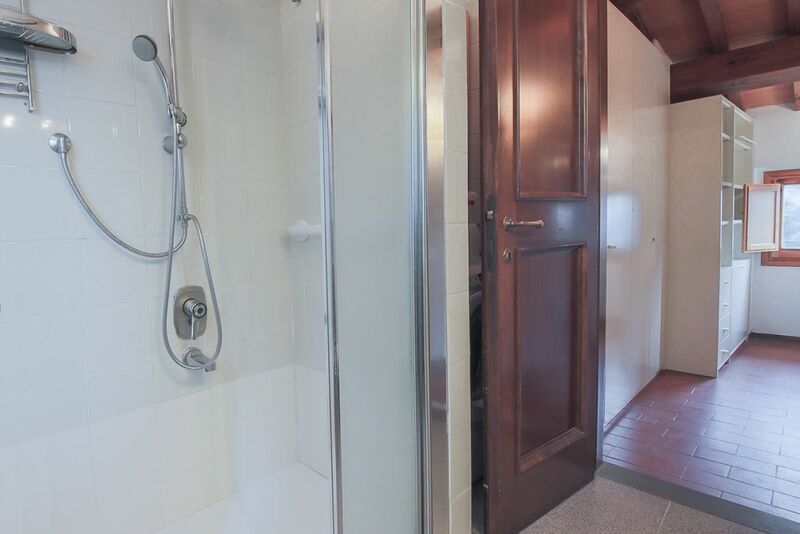 Upstairs you will find a master bedroom with a comfortable double bed and a second bedroom with a single bed and a study space. 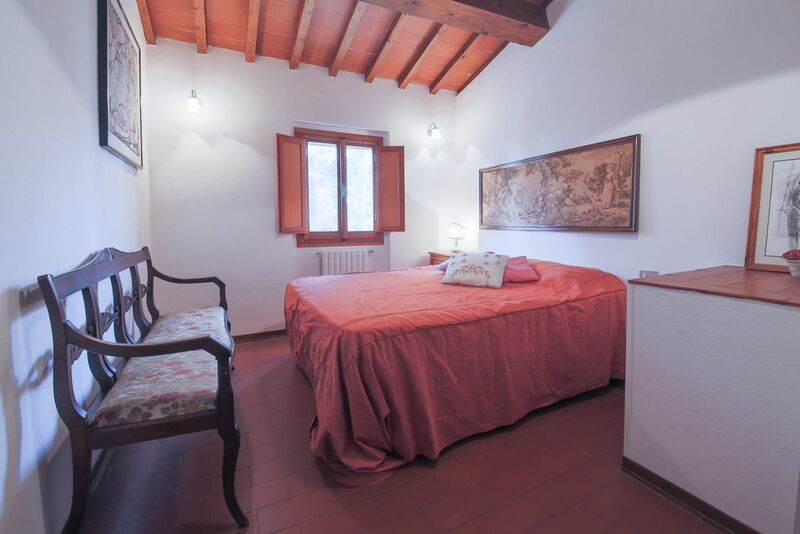 Both bedrooms are veyr spacious and bright. 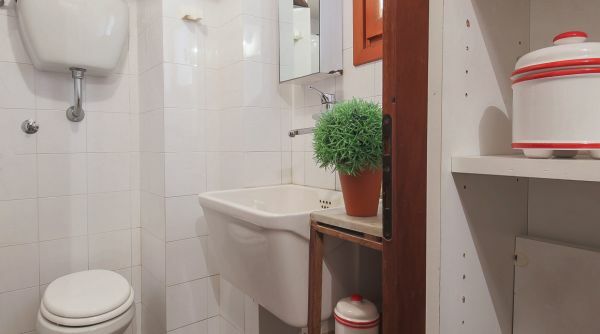 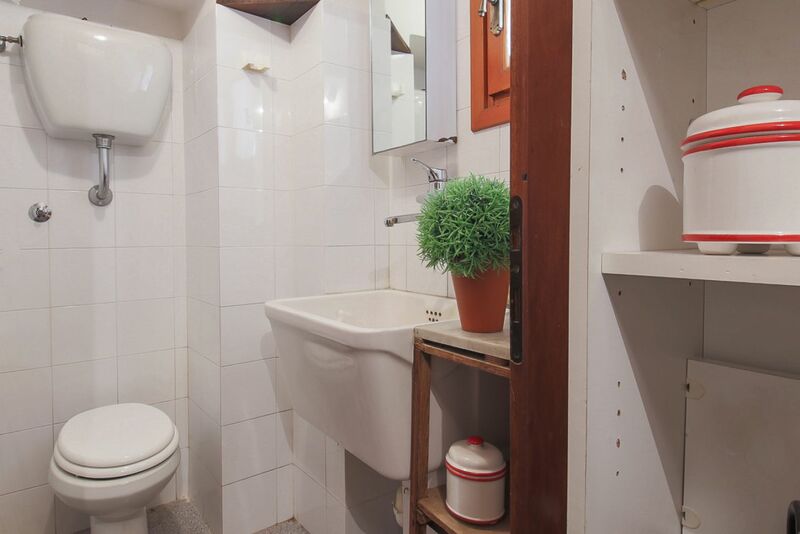 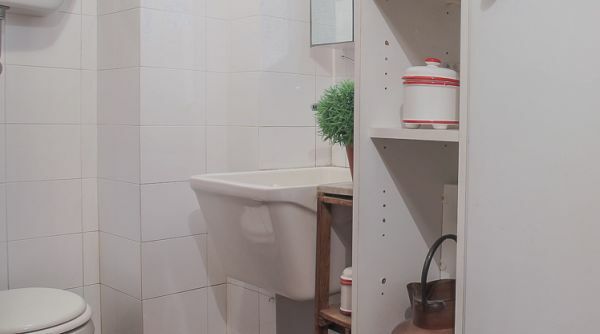 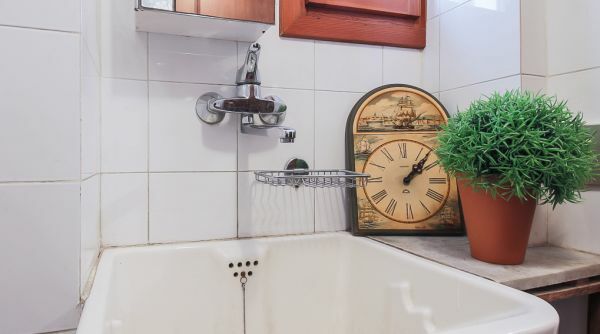 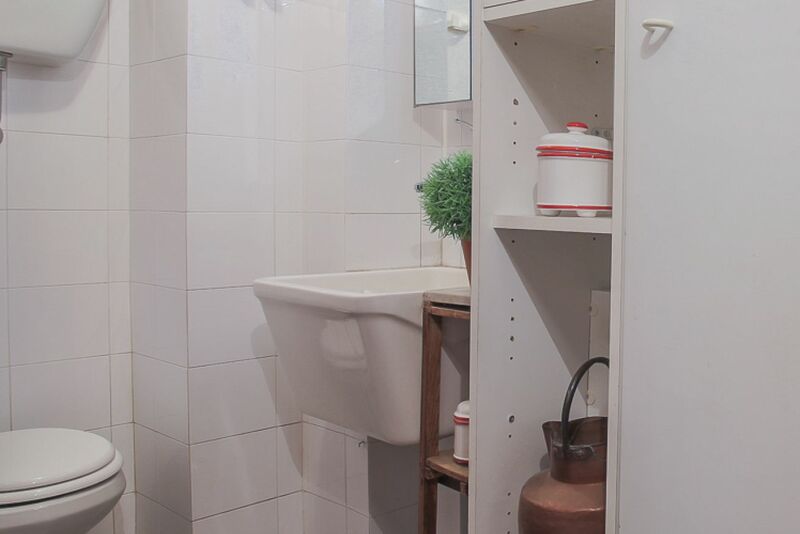 The apartment has lots of storage space and two bathrooms, which makes it ideal for long term stays. 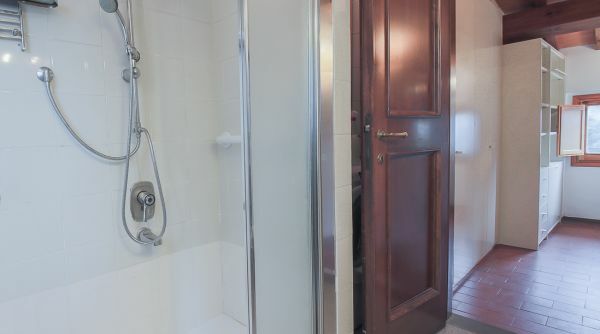 There is also partial air conditioning.